As discussed at length in the seminal case of Blueberry River Indian Band v Canada (Department of Indian Affairs and Northern Development),  4 SCR 344, the FSJBB surrendered the so-called Montney reserve in the aftermath of World War II for resettlement of returning veterans. As a condition of the surrender, Canada promised to purchase new replacement reserves. Canada purchased and set aside the Replacement Reserves from BC in 1950 and learned in 1952 that it had mistakenly agreed to allow BC to retain subsurface rights. Canada immediately acknowledged its error to the Province but did not inform FSJBB. It wasn’t until 1977, while dividing into Doig and Blueberry, when the FSJBB discovered that the Replacement Reserves had come without subsurface rights. The Specific Claims Tribunal issued a decision on the validity of the claim on November 11, 2015 in Doig River First Nation and Blueberry River Indian Band v Canada (Department of Indian Affairs and Northern Development), 2015 SCTC 6. It found that Canada had breached its fiduciary duties to the Claimants when it acquired the Replacement Reserves without noticing that BC had reserved subsurface rights (para 2). Upon this discovery, Canada failed to: investigate the title and inquire about subsurface rights; inform the FSJBB of the nature and quality of title offered by BC; explain the practical consequences; and consult with the FSJBB (para 12). Canada also breached its fiduciary obligation to attempt corrective measures. This case brief concerns the compensation decision for the failure to reserve the mineral rights. The compensation stage was subdivided to determine the “types of losses that may be compensated” and to subsequently quantify losses (para 30). This sub-phase was to clarify the nature of the lost opportunity flowing from the breach (para 31). The Tribunal found Canada should have advised the FSJBB to not take the offer and should have negotiated with BC for the transfer of subsurface rights. Not only would the FSJBB have kept what it had in the face of an unacceptable proposal, but Canada could not have accepted British Columbia’s reservation of the subsurface rights without breaching its duties to the Band (para 43). The Claimants added that the validity decision established that the FSJBB’s motivation for the surrender was dual – to maintain traditional activities and generate revenue. Lastly, the Claimants argued that any assessment of the FSJBB’s intent to accept or reject the Replacement Reserves without subsurface rights must be grounded in evidence at the time of the breach, within the circumstances (para 38). The Respondent argued that lost opportunity flows from whether the Claimants were able to pursue their traditional activities and way of life without owning or controlling the subsurface rights and that an evaluation of loss should be measured by whether they were able to fulfill their intended use of the Replacement Reserves (para 46). The Respondent submitted that the intended use was for traditional activities and that these were not impacted, rather, there had been improvements in the Band’s circumstances including that the Replacement Reserves “were ‘closer to the Band’s traplines, where the Band spent the majority of its seasonal rounds’” which were integral to their way of living (para 47). In addition, the Respondent argued the FSJBB had a strong motivation to enter the transaction, because turning away the purchase or revoking the surrender of Montney “would have meant the loss of proceeds of sale” at a time when the Band was in dire financial straits (paras 47-48). It added that BC was not motivated to give subsurface rights at the time and would not have included them in the transfer (paras 50-51). The Respondent also argued that conduct after purchase of the Replacement Reserves could be used as evidence to infer the Claimants’ state of mind and intent at the time of purchase, which indicated that the lack of subsurface rights did not conflict with their traditional way of living and intended use of the Replacement Reserves. 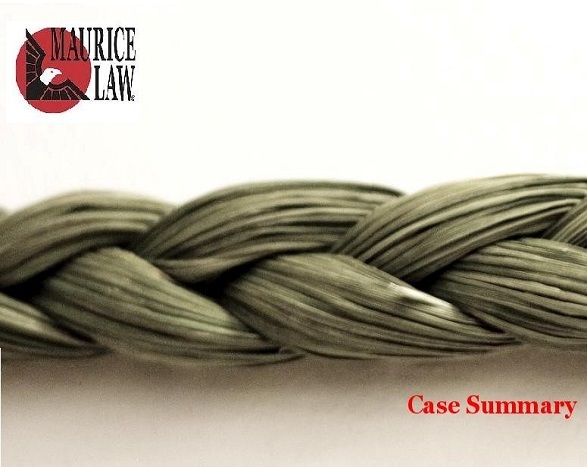 The Respondent relied on the principles applied in treaty interpretation in of Lac La Ronge Indian Band v Canada, 2001 SKCA 109, 206 DLR (4th) 638 [Lac La Ronge] to advance the argument that subsequent conduct could be used to assess the Claimants’ intent (para 55). The Respondent consequently relied on the idea that equitable compensation flows from “actual harm” arising from the breach. The Respondent argued that actual loss would be determined by close examination of the FSJBB and its history before, during and after the breach, in order to determine what it likely would have done had Canada not breached its duties (para 57). Based on the evidence, “the Respondent submitted that there was no lost opportunity to obtain the subsurface rights, and no losses suffered by the Claimants” because there was no evidence demonstrating that the loss of subsurface rights had prevented them from pursing the intended purposes of the Replacement Reserves and therefore no compensation was owed (para 58). Would FSJBB have accepted the Replacement Reserves without subsurface rights? Would Canada have persuaded BC to transfer full tenure in the Replacement Reserves? The Tribunal found that the FSJBB would not have accepted the Replacement Reserves without subsurface rights and that it would have retained Montney. In its analysis, the Tribunal addressed the Respondent’s use of Lac La Ronge to assess the intent of the FSJBB. In Lac La Ronge, the Saskatchewan Court of Appeal considered “interpreting a treaty by comparing post-treaty conduct with intent expressed in documents and by the parties’ conduct at the time, or before and since.” The Tribunal pointed out that the decision should only be applied where subsequent action was reinforced by earlier conduct (para 194). The Respondent attempted to suggest that the previous conduct of the FSJBB in accepting agreements for oil and gas affirmed their willingness to accept and even in engage in oil and gas activities while following traditional practices, drawing an inference that the absence of subsurface rights did not interfere or disrupt their traditional way of life at the Replacement Reserves (para 195). The Tribunal rejected this proposition, stating that because the FSJBB had surrendered subsurface rights in 1940 to one company for exploration hardly established broad acceptance (para 197). Further, at the time of surrender, the matter of the subsurface rights did not come up. Thus, even assuming that Lac La Ronge would apply here, which the Tribunal held it did not, the evidence was insufficient to support that the Band held the alleged views about subsurface rights before or at the time of surrender in 1947 (para 199). The Respondent then argued that because the Band surrendered its subsurface rights in 1940 and 1950, it would have done so years later when regulatory changes were in place seeking their consent. The Tribunal rejected this stating that the appropriate consideration was their intent at the time of the transaction, not later (para 201). It explained that later regulatory changes could not be foreseen and “it would be perverse to ascribe the intent urged by the Respondent for such approvals when those breaches were motivating factors” (para 202). Further, the Tribunal found that while it was true that the FSJBB had previously rented out lands, it did so with Canada’s involvement under the Indian Act. Here, the loss of subsurface rights in the Replacement Reserves was permanent, and consequently, the two situations are not equivalent (para 203). In addition to this, relying on expert evidence, the Tribunal agreed that Montney was of great significance to the Dane-zaa people. It was central to their nomadic lifestyle and spirituality, and it was never the FSJBB’s idea or their initiative to dispose of Montney (paras 222-226). Thus, being unsure that traditional life would not face disruption and that revenue generating potential existed, the FSJBB would have been motivated to pursue a better deal with subsurface rights or revoke the sale of Montney. Montney was an important place to the Claimants at the time and if appropriate Replacement Reserves could not be found, then retaining Montney was the Band’s best option (para 227). The Tribunal also found that Canada would have been able to persuade BC to provide a full transfer of tenure, had it attempted to. There was considerable evidence to suggest that the Province was in fact very interested in advancing Ottawa’s proposal and that it was invested in the project to resettle veterans (para 234). BC saw the surrender of Montney as a positive development; interest was expressed in communications as early as May 1935, and it was considered good for non-Indigenous farmers north of Montney who were cut off, freed up access to the Alaska Highway, and facilitated the resettlement of veterans (paras 234-239). Thus, the Tribunal concluded “that it was highly likely that British Columbia would have agreed to transfer both surface and subsurface rights to the Replacement Reserves to Canada” (para 240). Lastly, if the Province refused to provide subsurface rights, the Tribunal found that Canada in living up to its duties would have recommended the FSJBB refuse the Replacement Reserves without subsurface rights. Despite the Respondents suggesting that the FSJBB was in dire financial straights, the Tribunal found that this was not the case and at the time of purchase the FSJBB was no longer living in poverty and was generating revenue from Montney (para 214). The Respondent had a standard of conduct and mandate to fulfill in order to carry out its duties without breach, which in the circumstances and if fulfilled, would have resulted in the acquisition of full tenure in the Replacement Reserve, or if that was unattainable, then revocation of the Montney surrender. In the circumstances and for the reasons given above, the lost opportunity flowing from the breach is the opportunity acquire full set of rights (para 244). On the question of how losses should be quantified, the Tribunal found that realistic contingencies must be taken into account, but that this was for the next stage of the proceedings. Consequently, the question of how much actual impact the province’s subsurface rights had on traditional activities would not be an issue for determination in this phase (para 246). The Tribunal did state, however, that it accepted that the FSJBB lifestyle was impacted in significant ways (para 263) and that the lost opportunity flowing from the breaches found in the decision on validity was the lost opportunity to obtain the full set of rights in the Replacement Reserves, including the subsurface rights (para 264). The second sub-phase of the compensation stage will quantify losses and the actual compensation owed to the Claimants. This will include “losses associated with not having acquired the subsurface rights in addition to the surface right” (para 87).